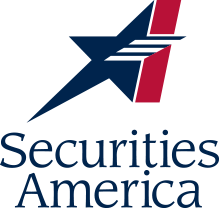 Founded in 1984, Securities America is one of the nation’s largest independent advisory and brokerage firms, with more than 2,550 independent advisors and over $90 billion in client assets as of June 30, 2018.
Business growth solutions, including practice acquisition, continuity and succession planning, retirement income distribution, and intergenerational wealth transfer. Award-winning technology that allows advisors to focus on revenue-generating activities and deepening client relationships. Freedom for advisors to manage assets themselves, outsource to third-party money managers, or both – all on a single platform. The ability for advisors to access advisor-friend trust services, life insurance, annuities, asset management, equity research, IPOs and secondary offerings, and a fixed income trading desk through Ladenburg Thalmann. Support to help advisors grow during all business stages, including transition. Find out more about this valuable member of the Ladenburg Thalmann Family.